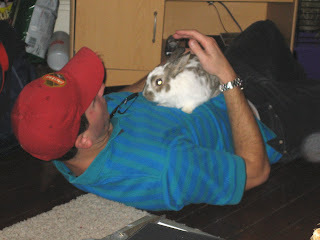 Our family's rabbit was adopted back in 2002 by Marc, while he was at college. Robby was a great college roommate, making no noise and having the freedom to explore Marc's computer cables at will. While an adopted rabbit is clearly not a worry-free pet, it can be a pleasant and low maintenance one. No barking issues (I never do that! ), no outdoor potty runs in the rain (ditto), no claw sharpening on the furniture. They do come with their interesting hobbies, though--primarily the love of chewing on plastic and rubber.Your iPod, TV, stereo and computer cables, as well as remote control buttons, are all at risk, so be sure to hide them well. First and foremost, be sure you're ready for a pet who prefers a quiet home and will be with you for 8-12 years. This is a long term commitment for both of you, and should be permanent to offer him the security he deserves. Just like us dogs, bunnies like to know that home is home...for the long run. This security will result in a friendly bond with your new friend. Nose wiggles from Robby and tail wags from Oliver. 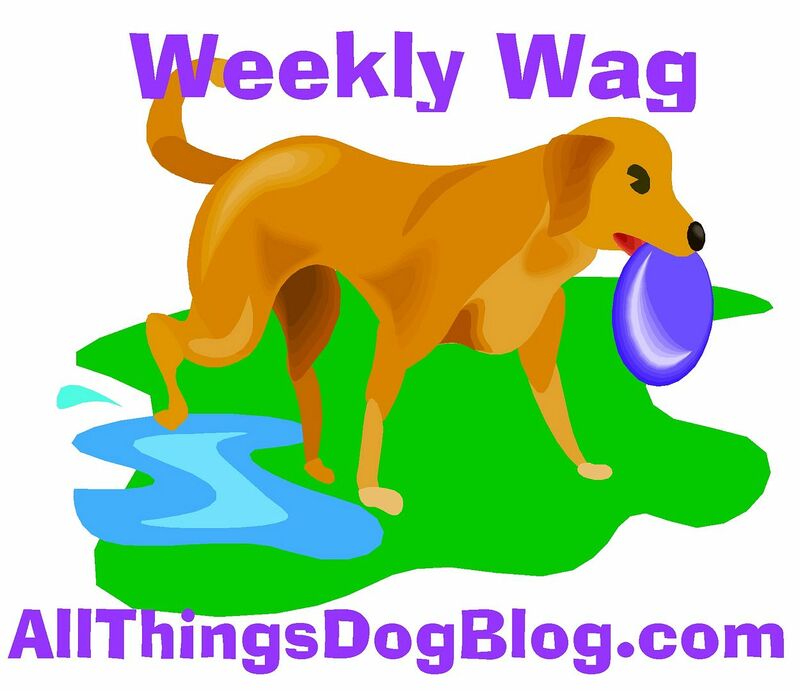 Now, go visit All Things Dog Blog, where you can check out rabbits that are available throughout the U.S. Have fun hare shopping at the other sites that have joined up in the linky list. It's a blog hop! Rabbit Treats? Where's My Bones? There's a Swamp Monster on the Kitchen Table! She's Giving all My Food Away!